SR1 Rear Hub 10mm Bolt Upgrade Kit - Replaces old 8mm style. Never break a bolt on your hubs again. This is an upgrade to our standard 8mm rear hubs. 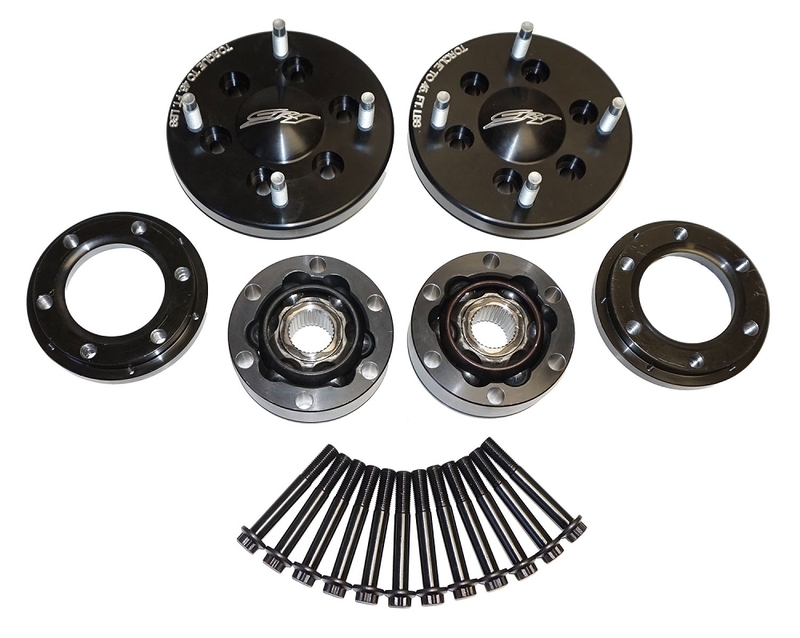 This kit has modified outer flanges, inner flanges, cv joints, and bolts. In addition to this kit, it may be a good idea to replace your hub bearings at the same time. Call us if you have any questions.